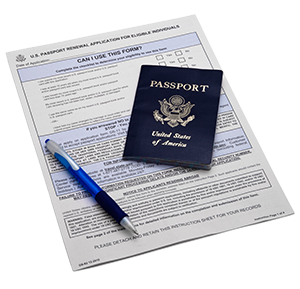 If you are changing the name or the data on your passport, submit original certified documents justifying the change being requested. For example: if you want to change it due to marriage submit an original Certified Copy of a Marriage Certificate. If you are changing the vital information such as your date of birth submit original Certified Copies justifying this change such as a previously issued passport or a Certified Copy of your Birth record. For more information you may visit the State Department’s website click here or call us on our toll free number (800) 783-8472.